The Café-Racer has always been a pop-culture icon and one of the coolest forms of a motorcycle. Custom bike builders around the world have been creating a wide variety of takes on this segment. Café Racer was a term developed among British motorcycle enthusiasts of the early 1960s where the bikes were used for short, quick rides between cafés, in Watford at the Busy Bee café and the Ace café in London. These pop culture icons represented speed, status and rebellion. For the sheer need for performance, the bikes were customized to be light weight with a tuned engine and minimalistic bodywork. Dropped bars that are low, narrow handle bars (called clip-ons) enabled the rider to be able to ‘tuck-in’, reducing the wind resistance and improving control. The rearward located seat and posture required rear set foot-pegs and foot controls taking cues from the racing motorcycles of the era. Distinctive half or full race-style fairings were sometimes mounted to the forks or frame. These trends paved way for the eventually common recognizable style of the café racer. Manufacturers in the recent years have taken notice that modern consumers have an interest in retro styling. The most recognizable modern machines from known stables are the DUCATI Scrambler Café Racer, The TRIUMPH Thruxton, ROYAL ENFIELD Continental GT, MotoGuzzi V7, BMW R Nine T and a few others. 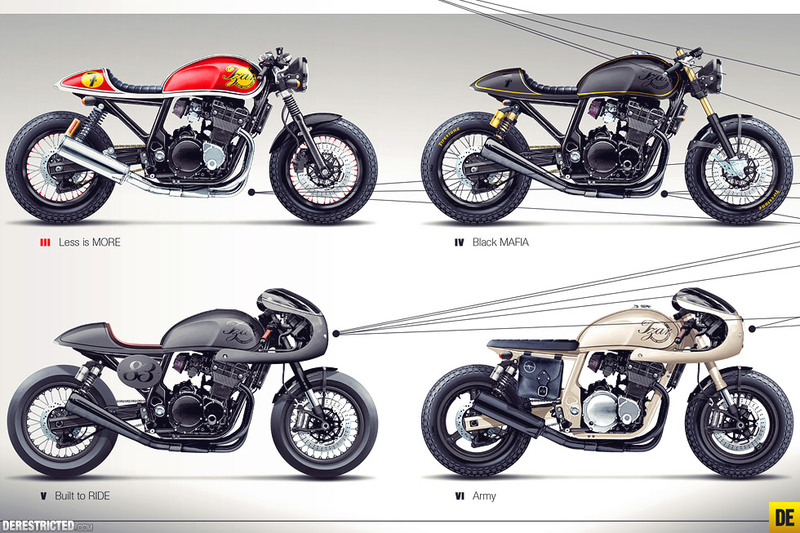 While the original concept of a café racer came out of customization, today’s café racers are modern production bikes with all the latest tech and electronics. 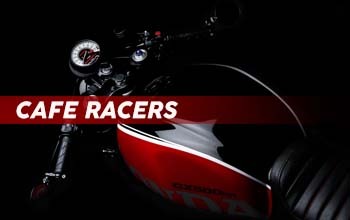 The return of the cafe racers has definitly been revieved well by motorcycle markets globally. We love this trend and would like to only see it grow in the future.